The World University Games (Universiade) takes place every two years and is one of very few multi-sport events that showcases a high level of gymnastics from University students around the world. Congratulations to both Caitlin and Jacey on their selections. 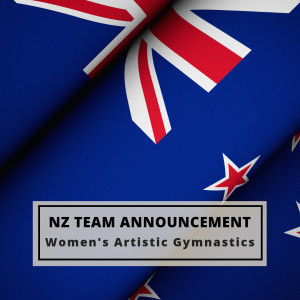 We would also like to congratulate Michelle Woolf (Hutt Valley Gymnastics) on her selection by the FIG, to judge at the event. It is an honour to have Michele represent New Zealand on the international judges panel again.